With the variety of cell cultures dishes, plates and flasks that exist, knowing the differences between them can be a headache. To make matters worse, choosing the wrong materials can really affect your research. Our experts have outlined the various differences between these products below to ensure that you choose the one optimal for your needs. When you remove cells from an animal or plant and grow them in an artificial environment, the quality of the tools that you use is everything. Conditions must be as favorable as possible and conducive to growth and survival, and using low quality products will make this impossible. All of our products are made with the utmost level of care and concern the cultures that will be thriving in them. 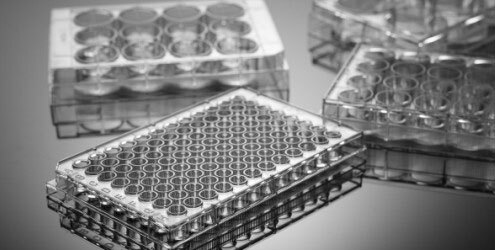 When it comes to cell culture plates, we offer 96 Well, 384 Well, Deep Well, Real Time QCPR, Micro and Assay options, all of which are RNase, DNase and PCR Inhibitor free to ensure the highest level of accuracy for your experiments. Furthermore, our sterile tubes are also Pyrogen free. Our cell culture flasks are made from high clarity, 100% virgin polystyrene and sterilized by E-beam, meaning you can rest easy knowing that they are completely free from contamination right out of the package. These products make great choices for experiments that will be conducted over a long period of time. No matter what the nature of your laboratory work, you can be sure that our products are crafted with a level of quality that will get you the results that you need. 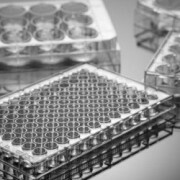 At Pipette.com, our cell culture dishes, plates and flasks come in a variety of materials and designs to ensure that our tool selection caters to everyone. 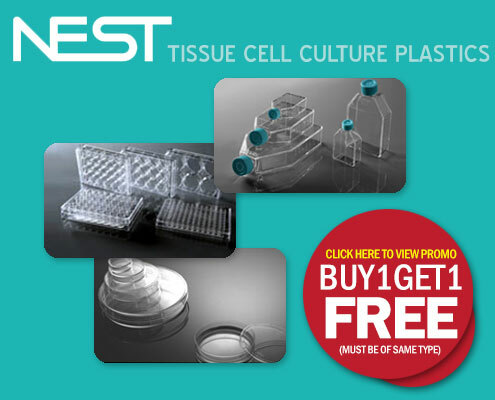 For more information, take a look at our store, but hurry – we currently have buy 1 get 1 free deals on our Nest cell culture dishes, plates and flasks, so don’t miss out!